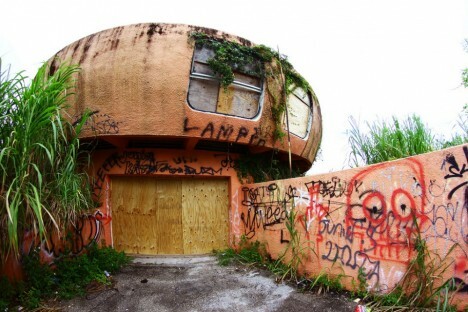 Florida may be America’s Sunshine State but these odd abandoned wonders reveal a darker side to the land of oranges, alligators and retirement communities. 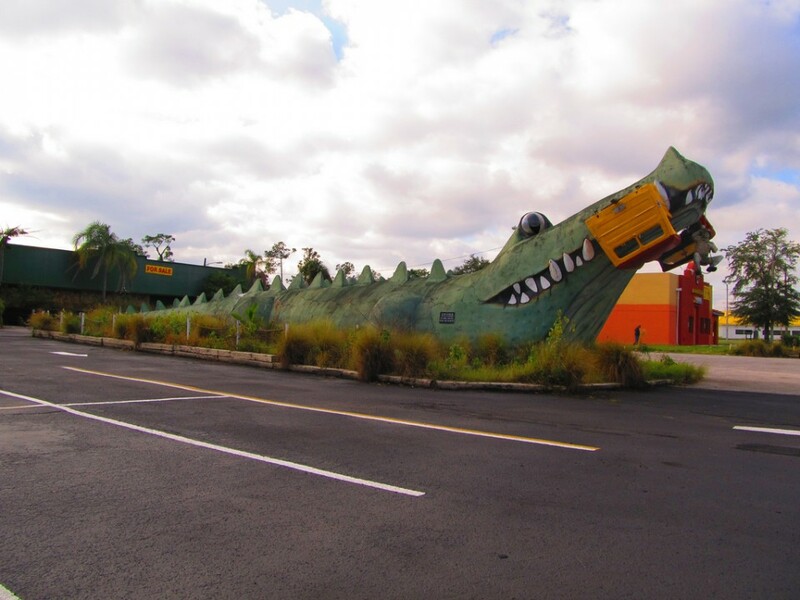 Speaking of ‘gators, who ever thought that primeval, carnivorous reptilian monsters would make an alluring and enduring tourist trap? Lotsa folks, actually, though often as not their efforts were unsuccessful – more on that later. 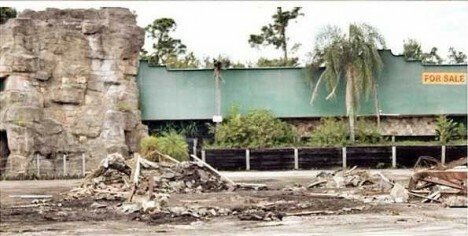 Jungleland Zoo in Kissimmee, Florida was one such failed alligator-themed attraction. Originally established in the 1970’s as “Alligator Safari Zoo”, the place changed both its name and its management in 1995. 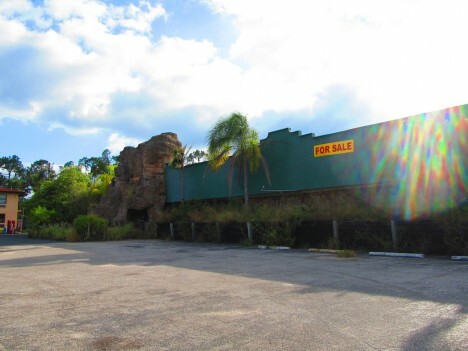 The more things change, the more they stay the same… such was the case with Jungleland. Criticism from state and federal wildlife and animal welfare agencies punctuated by the widely-publicized escape of a 450-lb lioness led the the place being shut down and abandoned in 2002. 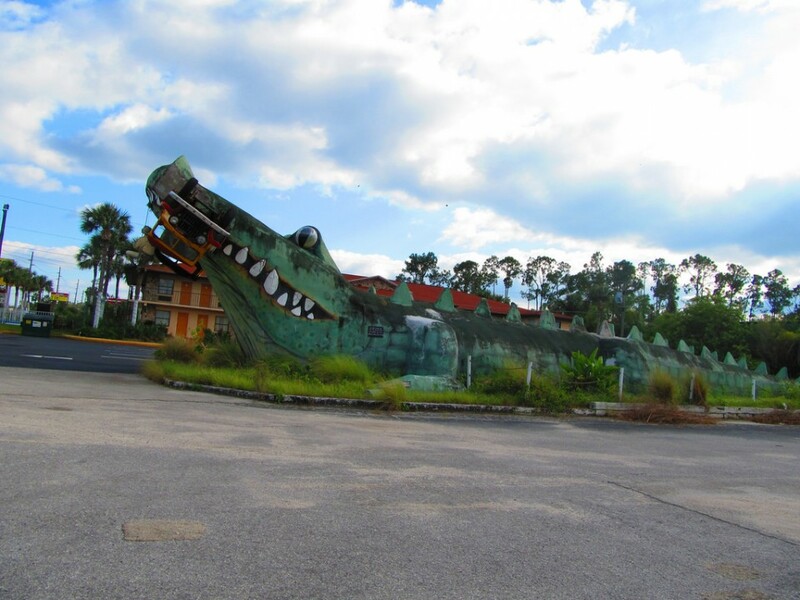 The 126-foot long alligator statue which stood in front of the on-site Gator Motel was demolished in October of 2014. 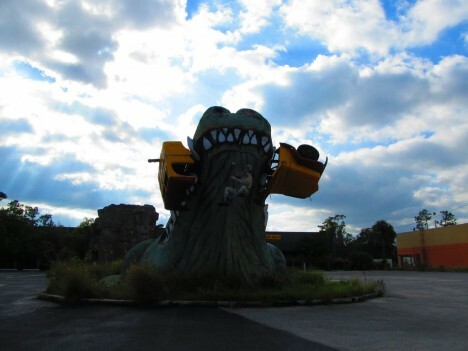 Flickr user amysusanne’s photo set dating from August of 2012 allows us to recall the singular glory of an enormous artificial alligator eating a car. Let the Space Age begin! 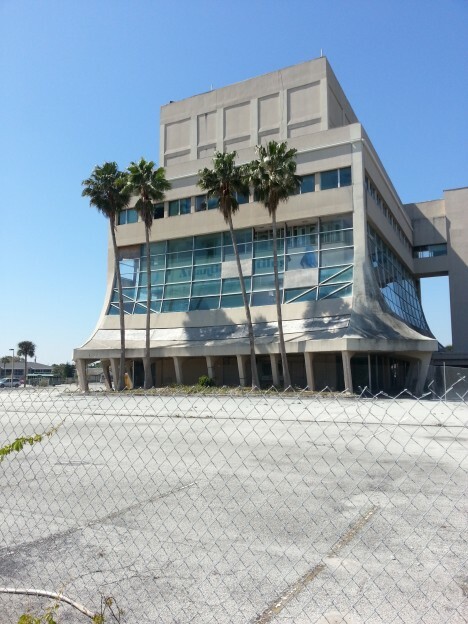 The First Federal Savings and Loan Association of Cocoa, Cocoa Beach Branch opened in 1962 and featured the Sky Room restaurant – a likely hangout for Major Nelson and Jeannie. 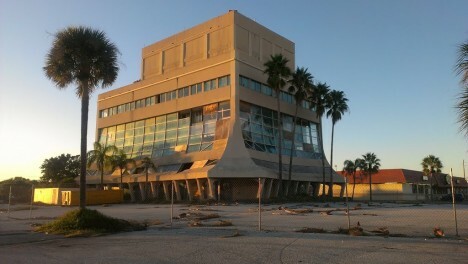 Dreams must confront reality sometime, however, and in 2004 Hurricane Frances damaged the Glass Bank‘s lower floors so severely it never re-opened. Shattered windows enabled ingress by vandals and encouraged the spread of toxic mold. 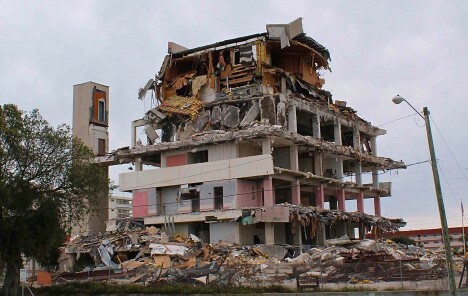 By 2014 the City had had enough: demolition (watch it here) was approved and within a year this iconic building was no more. 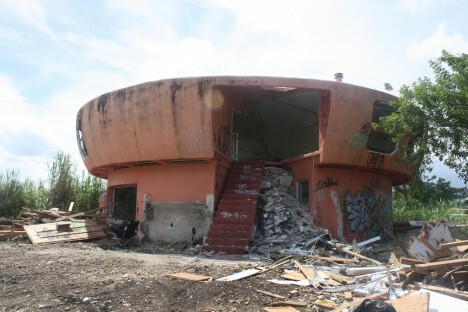 The so-called “Alien House” in Homestead, Florida, was built in 1974 – purportedly by a big-time drug trafficker whose cover was being a big-cat exotic animal importer. Sounds legit! 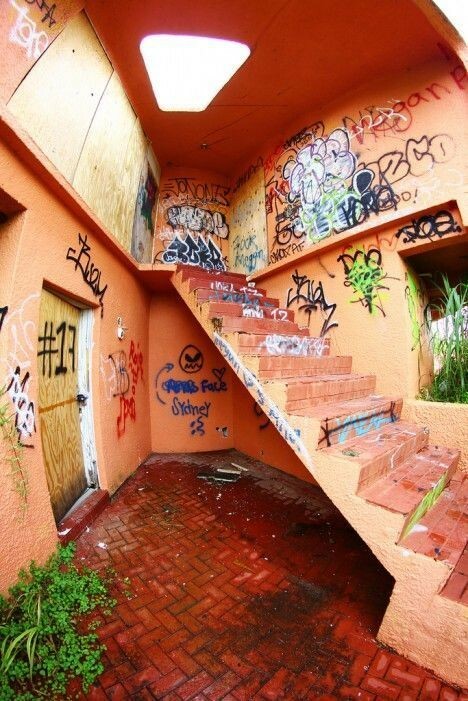 The house was purchased by a doctor from New York shortly before Hurricane Andrew struck in 1992; the powerful storm rendered the unconventional abode uninhabitable by man or beast. 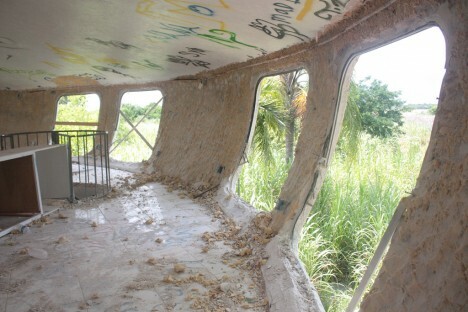 The structure then sat abandoned, accumulating an abundance of graffiti, until late 2013 when it was finally demolished. 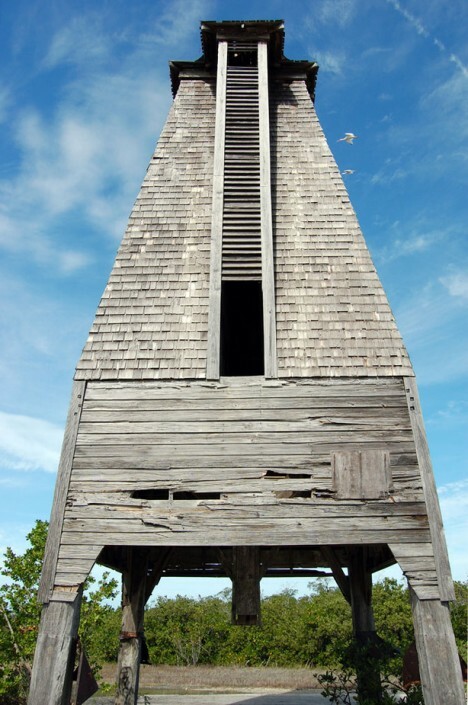 When the late great Robert Burns wrote “the best laid schemes of Mice and Men oft go awry, leaving us nothing but grief and pain,” he could have been describing the sad saga of the Sugarloaf Key Bat Tower (also known as the Perky Bat Tower) in Monroe County, Florida. 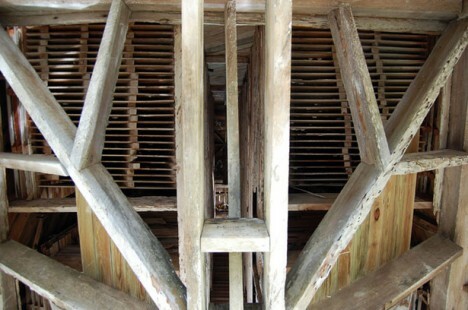 Built in 1929 at a (for the time) staggering cost of $10,000 in a well-meaning effort to house mosquito-eating Mexican Free-Tailed bats, the 30-foot-tall tower was immediately abandoned by the hundreds of bats procured to stock it. Great depression then ensued – in more ways than one. 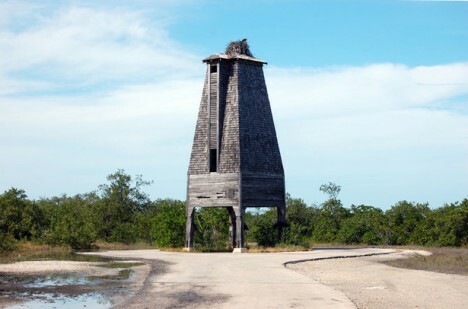 Over 80 years later the still bat-less tower still stands on Sugarloaf Key, mocked by man and mosquito alike.